The field of Elder Law can be hard to describe, as it can involve dozens of other legal practice areas. Elder Law cases can touch on fields as diverse as Estate Planning, Real Estate, Elder Abuse & Neglect, Medicare/Medicaid Planning, and Guardianship, among others. In short, Elder Law describes the practice of assisting people in the problems commonly faced by seniors. 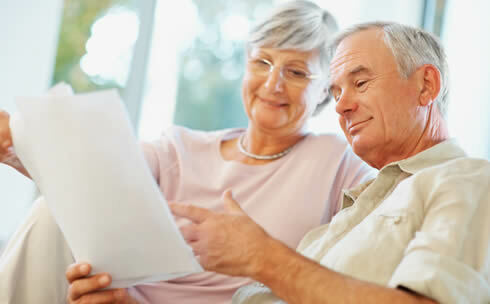 Below, you will find brief descriptions and in-depth explorations of some common Elder Law issues. For more information, please call our Oxford Alabama Elder Law attorneys to set up a free consultation. It's very tempting to procrastinate when it comes to estate planning. Most people imagine it as a tedious, difficult and expensive process, and they put it off. And after all, they think, I'm not planning on going anywhere anytime soon! In reality, almost everyone should at least have a well-drafted will. Alabama estate planning law can be tricky, and those who pass away without an estate plan often leave behind a legal mess that costs their loved ones time, money, and heartache. At Enzor & Maniscalco, LLP, our Anniston Alabama estate planning attorneys pride themselves on providing first-rate legal advice and services at an affordable cost. To learn more about the law of Alabama wills and estates, click here or contact us for a free consultation. The diminished mental capacity that often accompanies aging can pose serious legal problems. For more information about the meaning of capacity, and the ways you can prevent or deal with these problems, visit our page on Alabama Legal Incapacity, Alabama Powers of Attorney, and Alabama Living Wills. It's incredibly difficult when a loved one begins to lose his or her capabilities. It often falls to the family members to ensure that a person's well-being and finances are being protected. But when someone loses legal capacity without having executed a valid power of attorney, there is no one who is legally empowered to step in their shoes. These situations often demand the appointment of a guardian and/or conservator, which requires a court proceeding. We stand ready to help you navigate the process of guardianship and conservatorship in Alabama, and to help make sure that your loved ones are in good hands. Click here for more information about the guardianship process in Alabama. As they age, many people find themselves in need of assistance in carrying out their normal daily activities. Often they come to require nursing home care, assisted living facilities, or in-home care. These services are costly; the average cost of nursing home care in Alabama is over $5,000.00 per month. Without proper planning, the expense can quickly burn through a nest egg. However, there are strategies available that can help protect your assets in the event you need long-term care. Contact us today to begin forming a long-term care strategy tailored to your circumstances and goals.